Kitchen Design Think Tank: Dislodged Bridge! 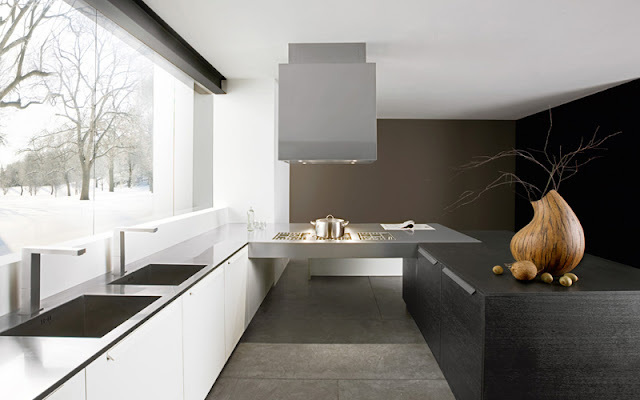 To some this design may only be worth a second, nonchalant glance but The Mogul feels that this kitchen is quite noteworthy! There is great use of contrasting materials and textures here with the design displaying some great contemporary features; but the real centre piece of this particular design is the stainless steel cooking zone. The stainless steel bridging element with inset domino hobs is chunky and masculine against the slender and arguably more feminine worktop being used along the sink run. 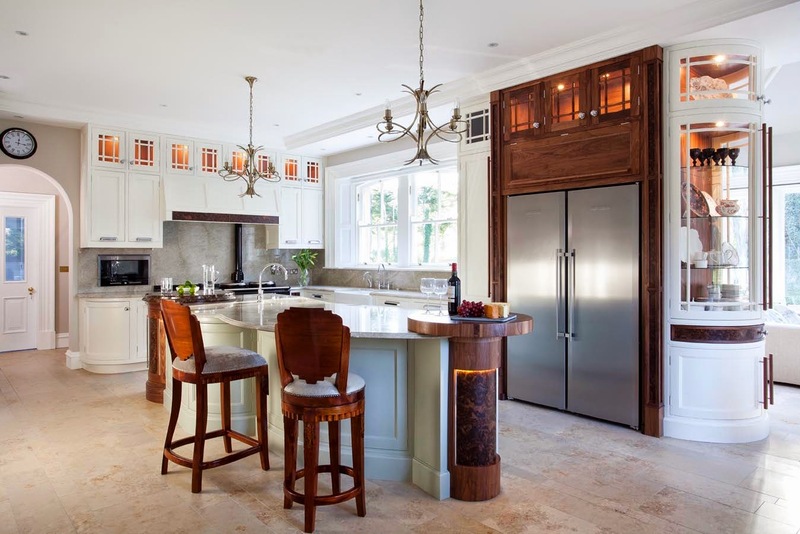 The thickness of the bridge is used to conceal the services but it also causes a dramatic step in the cabinetry as the kitchen gravitates away from the wall and moves towards the island. Upon meeting the island the bridge again displays its dominance by embedding itself and dislodging a corner of the island! 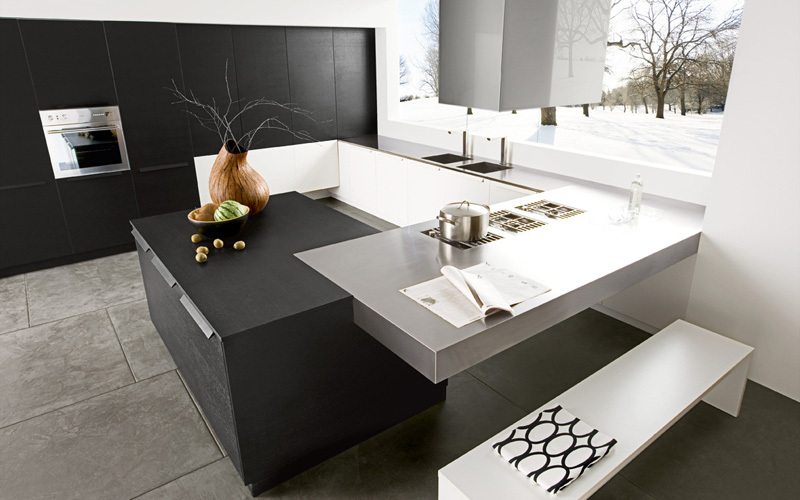 This aspect is brilliant adding real aesthetic interest to the design. The Mogul also loves how the bridge doubles up as an informal eating area, inviting conversation and creating a wonderful visual step in the design. Great Job!